Published on 17 August 2012. 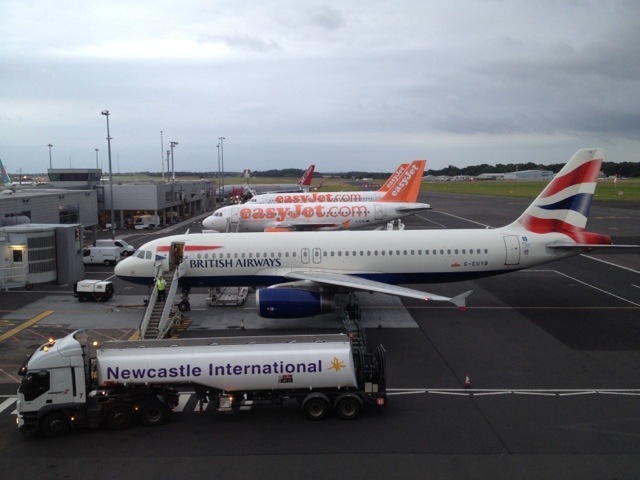 I think Newcastle Airport is brilliant – I’ve always found the staff very friendly, and on a good day I can go door to departures in about 3 minutes. Today, though, wasn’t a good day: a very early start and hoards of holidaymakers conspired to leave me less than delighted. It’s still my favourite airport, though! This 1,770th post was filed under: Photo-a-day 2012, Newcastle-upon-Tyne.